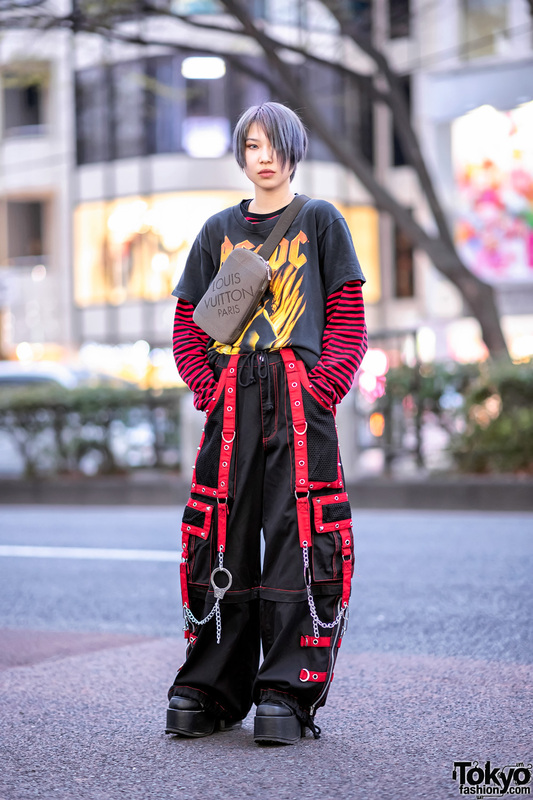 It’s hard not to miss Kifujin, a Japanese vintage fashion buyer and model whose eye-catching streetwear styles make him one of the popular street personalities in Harajuku. 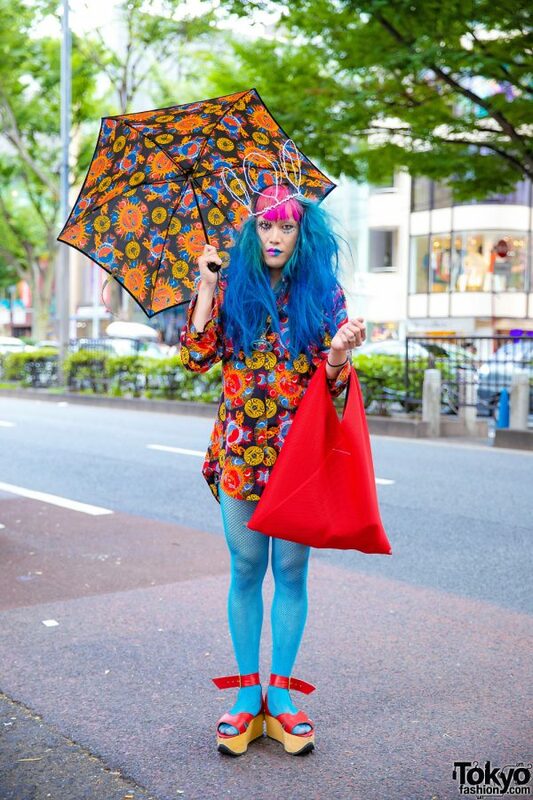 Sporting long blue messy with pink bangs, Kifujin stepped out on the street wearing a colorful long sleeve galaxy print shirt from Vivienne Westwood, paired with blue fishnet tights and a red pair of the iconic Vivienne Westwood rocking horse shoes. 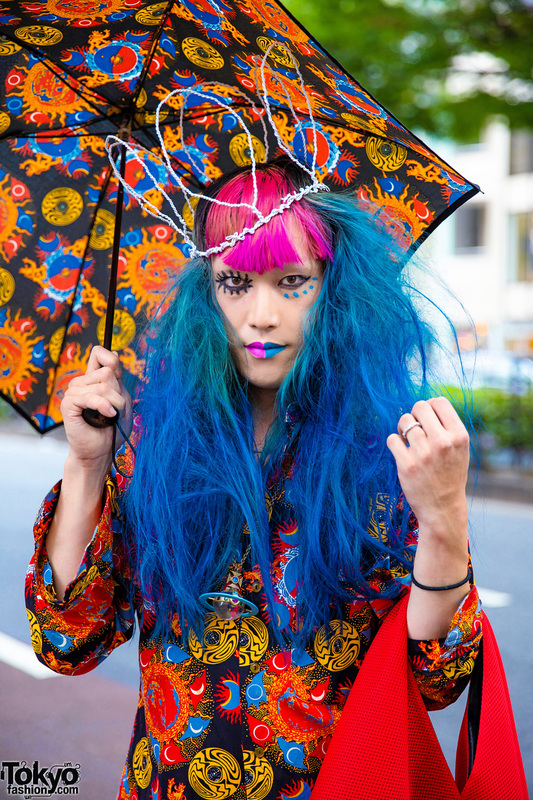 He accessorized his look with a handmade wire crown, colorful eye makeup and two-tone lips, a Vivienne Westwood orb pendant necklace, and a silver ring. 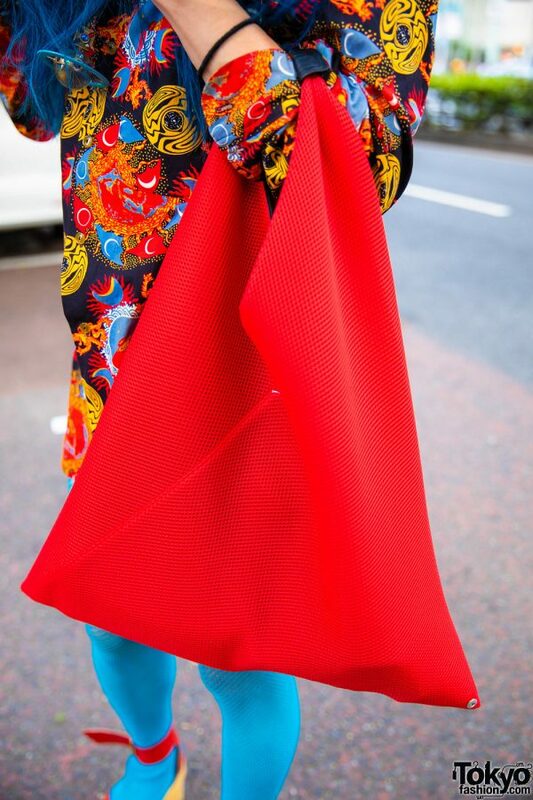 In addition, Kifujin is carrying a red mesh tote bag from MM6 Maison Margiela and a matching galaxy print Vivienne Westwood umbrella. 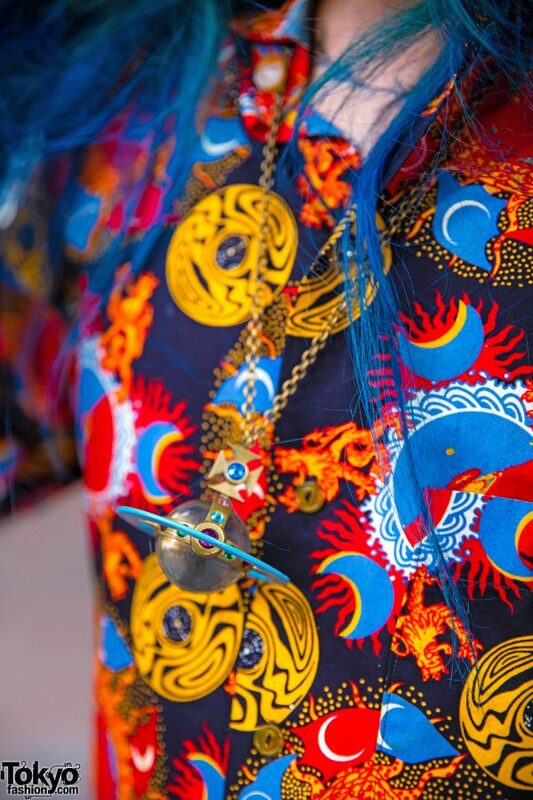 For more of Kifujin’s statement-making looks, follow him on Instagram.